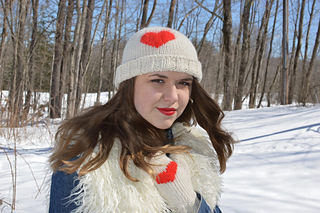 I love bold and simple shapes, and this big, red heart sends out a sweet message of love! Worked in duplicate stitch, after the hat has been knitted, in soft and fluffy Belangor Angora, it’s a great contrast to the smooth alpaca of the main yarn. Worked from the top down, and in the round, using 3 ends of Galler Prime Alpaca, this hat looks great on everyone! 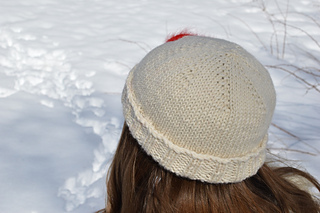 Soft yarn in a cozy shape, will keep your head as warm as toast. 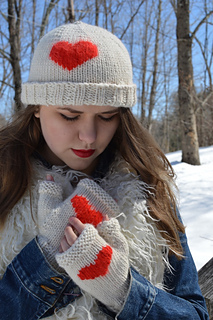 Designed to be worn with the matching Champagne Heart Mitts.